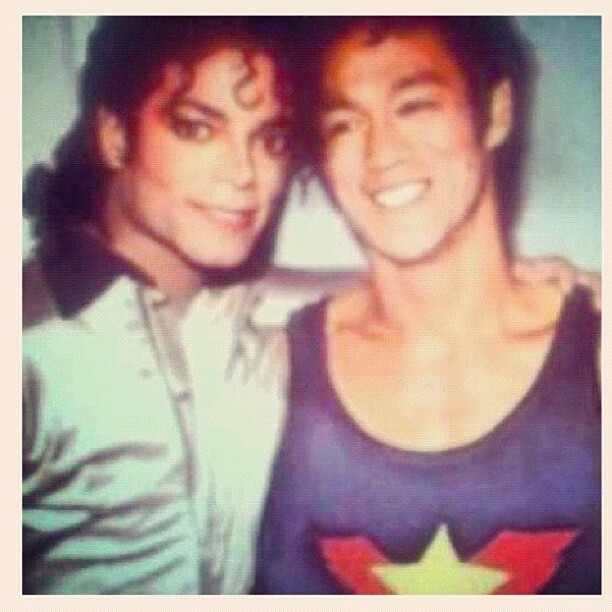 Michael Jackson and Bruce Lee ♥♥. . Wallpaper and background images in the 迈克尔·杰克逊 club tagged: michael jackson ♥. This 迈克尔·杰克逊 photo might contain 肖像, 爆头, 特写镜头, 特写, and 爆头特写.